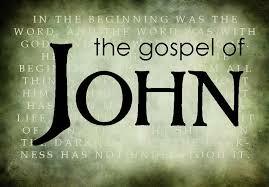 While John’s Gospel includes many themes, one stands above the rest: belief that Jesus Christ is the Son of God. In fact, John 20:31 discloses why John wrote his Gospel: “These are written so you may believe that Jesus is the Christ, the Son of God, and that by believing you may have life in his name.” Coming right after Thomas’ pronounces his faith in Christ, “my Lord and my God” (v. 28), John reveals his intentions. He desires for you and I to believe that Jesus Christ is the Son of God as the singular way that we might find eternal life. Once we tune in to John’s emphasis on belief, we discover that the verb ‘believe’ (pisteuo) occurs 98 times in John’s Gospel. Interestingly, the noun ‘faith’ (pistis) doesn’t occur at all. Clearly, John’s Gospel is meant to create faith in its hearers, not just describe what it is. Nevertheless, by paying attention to the way John speaks of believing, it is possible to learn what faith is. And importantly, belief is more than just mental agreement. In fact, when all the promises of eternal life are considered, it becomes apparent that saving faith savors Christ. That is, those who truly believe do far more than merely assent; they approach Christ the way a starving man approaches a feast. Indeed, in a book that testifies to who Jesus is, the beloved disciple spends ample time considering the nature of saving faith. He indicates that Jesus knew of a faith that did not save (2:23–25) and so he labors in his Gospel to show that saving faith “receives Christ,” “comes to Christ,” “honor Christ,” and “feeds on Christ”—to only name a few descriptors. Although John states plainly in John 3:16 that eternal life is the reward of believing, we will see genuine faith does far more than simply believe. Faith that saves is described by John in more than a dozen ways. That is, in his Gospel, John often speaks of the rewards of faith (e.g., eternal life, freedom from condemnation, etc.) as the result of belief or some other prerequisite. In comparison, these other actions should not be added to faith. Rather, they give a sense of what true faith is. Therefore, to get a sense of what saving faith is, we need to see them in action. In John 3:21 those who come to the light (1) must do what is true. In context with John 3:16 and 18, believing is evidenced by walking in truth (cf. 2 John 4; 3 John 4). Conversely, failure to walk in truth evidences unbelief. A few verses later, John explains that faith (2) must obey. He writes, “Whoever believes in the Son has eternal life; whoever does not obey the Son shall not see life, but the wrath of God remains on him” (v. 36). While we rightly differentiate salvation by faith from salvation from works of the law, genuine faith will keep God’s commandments (John 14:21). In fact, in Romans Paul twice refers to obedience to the gospel (1:5; 16:26), meaning that those who are saved by faith obey the gospel (cf. Ezek 36:26–27). Next, John 3:33 says Jesus’ disciple must (3) receive his testimony. Those who believe receive Christ as he presents himself, not as we choose to make him. As John 5:24 says, “Truly, truly, I say to you, whoever hears my word and believes him who sent me has eternal life.” In short, those who believe cannot believe whatever they want; they must receive the testimony of the Father and the Son. Accordingly, those who believe (4) must receive Christ (1:12; 13:20). John 1:12 reads, “But to all who did receive him, who believed in his name, he gave the right to become children of God.” In this verse, receiving is parallel to believing. Therefore, whoever believes not only accepts the testimony about Christ; they receive him too. Likewise, John 13:20 reads, “Truly, truly, I say to you, whoever receives the one I send receives me, and whoever receives me receives the one who sent me.” While some who followed Jesus believed in what he did (John 2:23–25) and others were aware of messianic glory (12:42–43), only those who received him personally would inherit eternal life. Genuine believers not only receive Christ, they also (5) follow him. In John 8:12 Jesus proclaimed, “I am the light of the world. Whoever follows me will not walk in darkness, but will have the light of life.” In truth, only Jesus’s sheep could follow him, but all his sheep would hear his voice and follow. We find this distinction in John 10. Rebuking the Pharisees who rejected his claim to deity, Jesus told them they were not his sheep, for if they were they would believe in him. Jesus’ sheep hear his voice and follow him (v. 27). In addition to following Christ, the genuine believer (6) must come to the Lord Christ. John 6:35, 37 explicitly relate belief and coming. They read, “Jesus said to them, ‘I am the bread of life; whoever comes to me shall not hunger, and whoever believes in me shall never thirst. . . . All that the Father gives me will come to me, and whoever comes to me I will never cast out. '” In context, ‘coming’ indicates a posture of the heart that longs for Christ, but it also indicates a hunger and thirst for God. No one will be saved unless they savor Christ; and all who truly believe will desire the Lord more than life itself (cf. Ps 63:3). In the same vein, true believers will (7) feed on Christ. As Jesus says in John 6:54–57, unless you eat my flesh and drink my blood, you can have no part with me. What does he mean? Put succinctly, he means that we must come to him for life itself. This is what belief is. As Peter responds to Jesus’ hard saying and invitation to depart with the other unbelieving disciples, he says, “To whom shall we go? You have the words of eternal life” (v. 68). Whereas some follow Christ for what he does; Peter indicates that genuine abiding faith trusts in Christ for who he is. When we taste and see the goodness of God in Christ, we cannot believe in anything else. This notion of feeding is complemented by (8) drinking. Those who are truly saved will come to Christ as living water (4:14). Jesus is the fountain of eternal life and all who believe in him will overflow with life (7:37–39). Such drinking (9) honors the Son, which is another way John speaks of faith. Only those who hear his words (5:24) and respond in faith honor the Son (v. 24); and unless you seek his glory and not your own, you can have no part of him. Faith requires a priority of putting Christ and his glory first (3:30). Those who seek to honor the Son will also hate the way their sin dishonors the Son. In John 12:25, Jesus says, “Whoever loves his life loses it, and whoever hates his life in this world will keep it for eternal life.” To be sure, no one is saved by hating their life. Many people who will die in their sins hate their life. Rather, Jesus is indicating that those who love Christ will hate every part of their life that displeases God. In this way, only those who die to themselves and live unto God have genuine, saving faith. True faith (10) hates his life in the world. Finally, we can say that saving faith (11) keeps the commandments and (12) loves God. John 14:21 and 24 read, “Whoever has my commandments and keeps them, he it is who loves me. And he who loves me will be loved by my Father, and I will love him and manifest myself to him. . . . Whoever does not love me does not keep my words. And the word that you hear is not mine but the Father’s who sent me.” In covenant with God, the believer does not simply receive the benefits of salvation; they also keep covenant with God. While they believe in God, they also love him. To be clear, this does not mean that we must first love God to be saved; rather, those who are born again will believe and that belief includes a loving obedience towards God. As Ezekiel promised long ago (36:26–27) the ability to obey and believe is a gift of the new birth (John 3:3–8; 8:47). In the end, genuine faith as described in John’ Gospel is a faith granted by God to his sheep that believes, receives, obeys, eats and drinks, seeks God’s honor, and hates sin. It is a living faith that grows from seed to mature oak, a faith that bears fruit, and a faith that draws ever increasing strength on Christ and his Word. Surely, more could be said about faith in John’s Gospel, but what cannot be said is that faith is merely a mental assent towards the Lord. Sure, faith alone saves, but as is evident from a survey of John’s Gospel true faith is never alone. May God grant us to have such saving faith and may our faith increase as we look to the gospel of Jesus Christ. And the we have to understand Who that very Father or God to Whom Jesus is referring. You might find some interesting insights on my blog page on that. Blessed be.